Prototype for a Bird House. 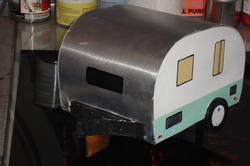 I had a plan to build a couple and have them at car shows/swap meets. Before I could even show them, I had six sales. Now, I've created over 90 houses! About 20 were personalized for a gift. 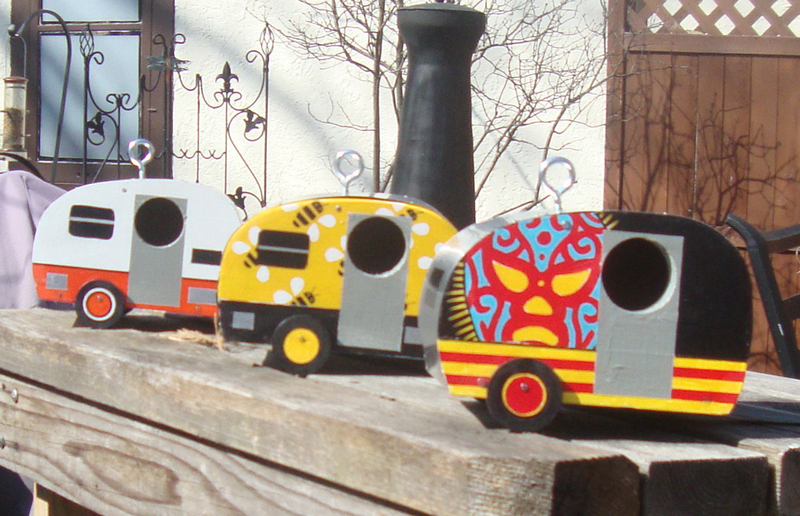 Using the template from the original prototype, I've created several other variations of the birdhouse. 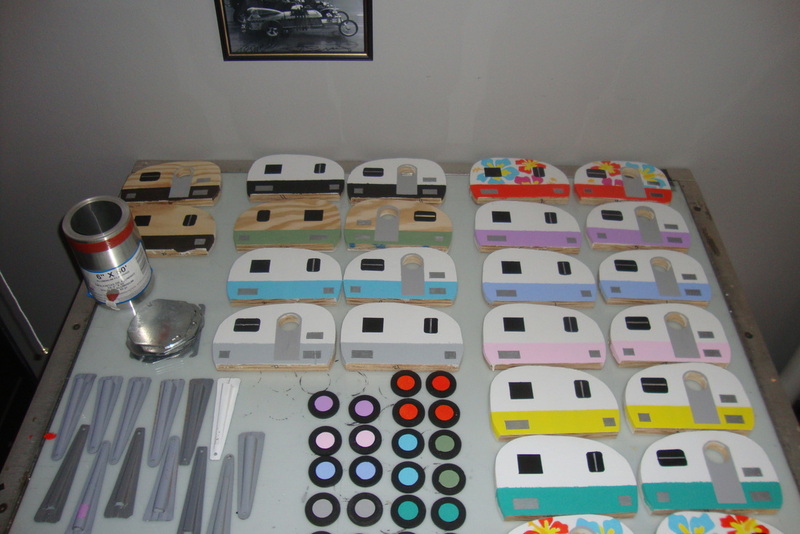 Demand for these little camper themed bird houses has moved me in to a production line style process. Each is still unique because they are created individually and painted by hand.